Societe Generale even releases a quarterly chart of “Black Swan” risks. 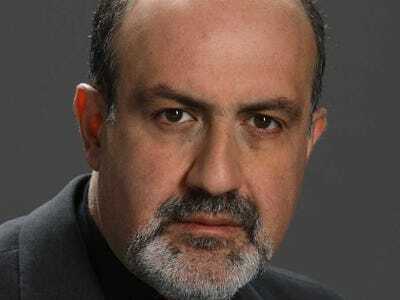 The concept of a “Black Swan” event takes its name from Nassim Taleb’s 2007 book “The Black Swan.” But there’s a slight problem: acknowledging an event’s possibility means it can’t be a Black Swan. To wit, SocGen’s most recent Swan chart says that further deterioration in the economic situation in Europe poses a risk to the market. And like, objectively, a European economy that performs poorly is bad for the market. But this also isn’t a Black Swan. Or, can’t be a Black Swan. This is basically the book’s entire message wrapped up in one graphic. 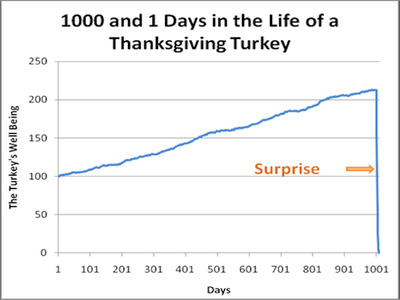 “Consider that [the turkey’s] feeling of safety reached its maximum when the risk was at the highest!” Taleb writes. 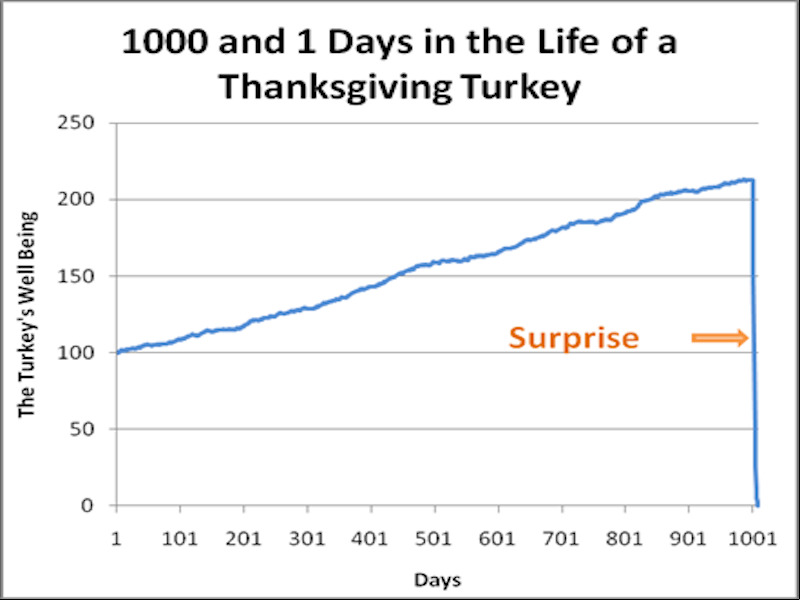 It isn’t that we can’t know the future, but that we delude ourselves into thinking we can, making forecasts about events that are inherently unforecastable and giving us false belief about what can or will or might happen in the future.